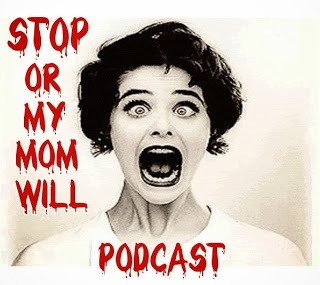 Stop Or My Mom Will Podcast, Episode Fourteen, Now Available! Hey gang, check out the latest episode of my podcast, Stop Or My Mom Will Podcast. This week we talk about a conspiracy surrounding the sudden death of a young starlet to silence an inexplicably still living whistle blower, then delve into the dark and twisted world of Japanese cryptids (Hint: There will be eyes in places where eyes should never be).